Ladies, run the world in style and comfort with incredible deals at International Women’s Week Sale. Every day can be your special day! Get out and celebrate International Women’s Day with guilt-free shopping spree. 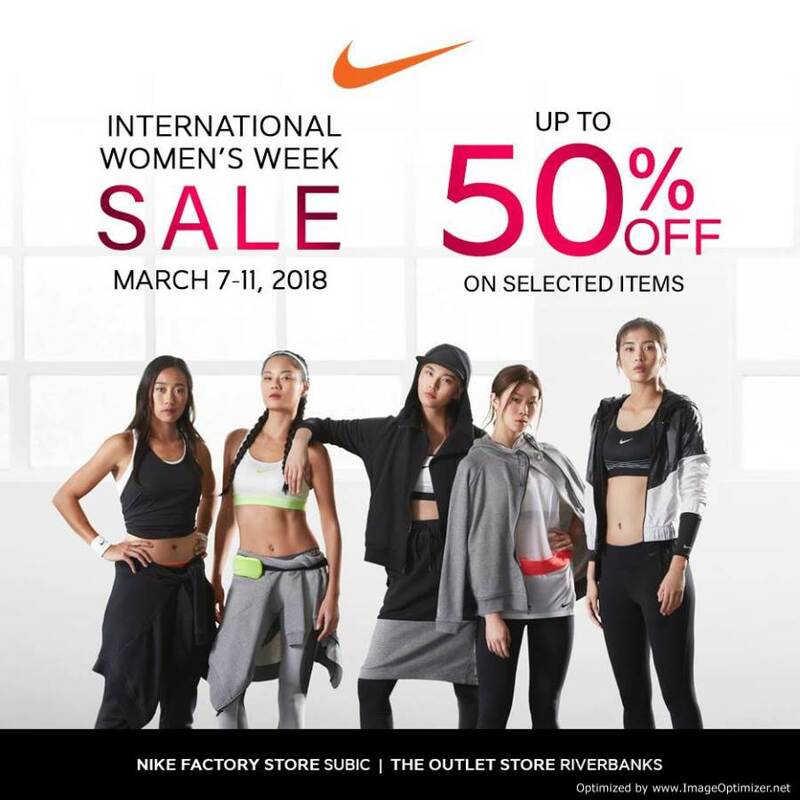 Pamper yourself, be good to your female family members and friends, and treat yourself on awesome pieces from Nike Factory Store Subic and The Outlet Store Riverbanks Marikina. Don’t miss the International Women’s Week Sale happening until March 11, 2018. Get as much as 50% OFF on selected items from your trusted ‘swoosh’ brand. 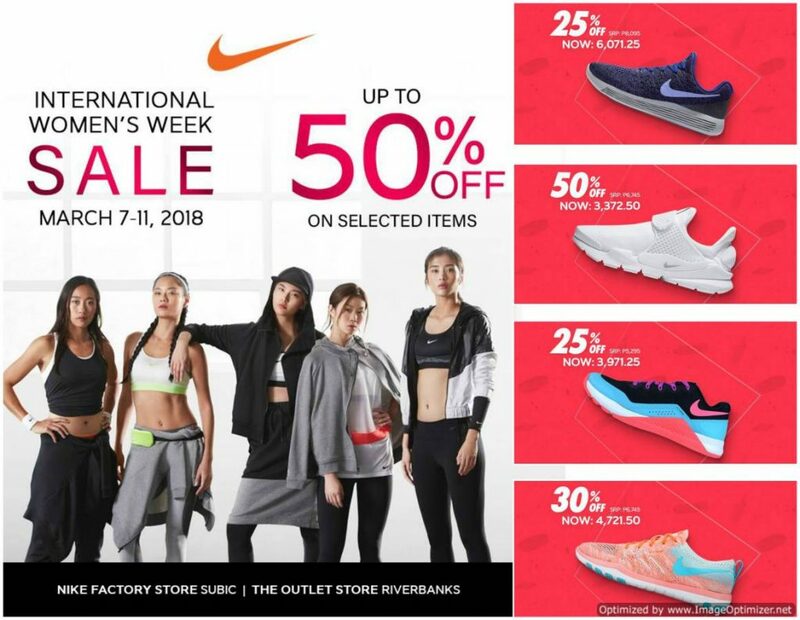 Women’s Week Sale is still on-going at four (4) locations of Nike Factory Store. 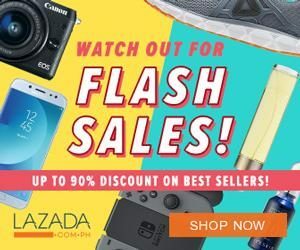 Enjoy amazing deals up to 50% OFF when you shop at their stores in NLEX, SLEX, Cebu, and Sta. Rosa. CLICK HERE for DETAILS. International Women’s Day is celebrated on March 8th and is a global day honoring the achievements of women. It is day when we celebrate the achievement and contributions of women around the world, who have played a role in shaping our history.